An 18-year old Columbus male died early Thursday morning of multiple gunshot wounds outside of a Winston Road residence, Muscogee County Chief Deputy Coroner Freeman Worley said. Emanul Banks was pronounced dead at 2:12 a.m.
March 19, 2008: Aliyah and Agena Battle, 23 months, and Sedrick Lamar Harrington, 3. Though their decaying bodies were not found in the woods in Columbus until around noon on March 19, 2008, Eddie Harrington likely had taken his three children there, shot each in the head and then killed himself about two weeks earlier, the night they disappeared. 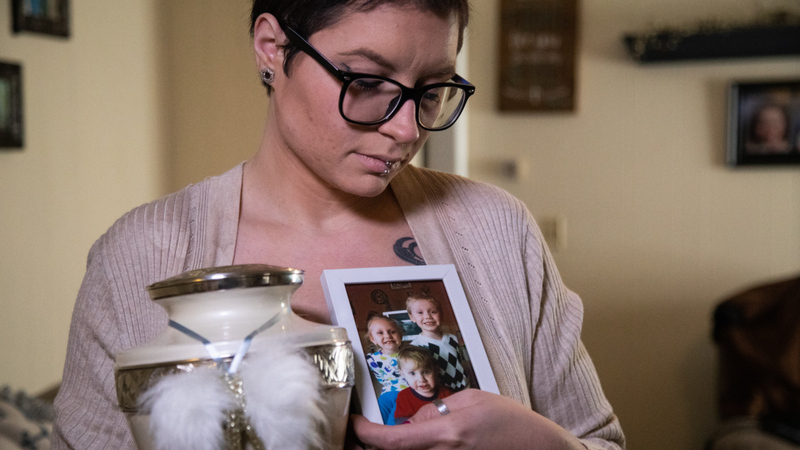 The mystery had prompted a nationwide search, with national news carrying the story of the missing Columbus father, 28, his twin 1-year-old daughters and 3-year-old son. Amber Alerts were issued, police searched the river and lakes, and the Federal Bureau of Investigation joined in the effort before a passerby happened upon the bodies. Oct. 16, 2011: Joseph Conner Weeks, 18. Feb. 24, 2012: Jeremy Hall, 6. Police at first thought Hall was killed by his mother in a murder-suicide, before they suspected the mother’s boyfriend, who had been living with them and reported finding the bodies in the 2352 Howe Ave. home. Tina Green Hall, 47, and her son were both shot in the chest while in bed. A jury in December 2016 found Vincent Harris guilty on two counts of murder, and he was sentenced to life in prison. Aug. 21, 2014: Christopher Jones, 16. Jones was driving a stolen car with two friends ages 15 and 14 when they drove to Winston Road looking for a man who’d stolen a gun from them, a weapon they’d taken in a car break-in. All the boys had stolen guns, and when one fired at the man they’d targeted, he shot back as Jones sped away. Mortally wounded, Jones crashed the car and his cohorts fled. Police decided the man who shot him acted in self-defense. The other boys pleaded guilty to aggravated assault. 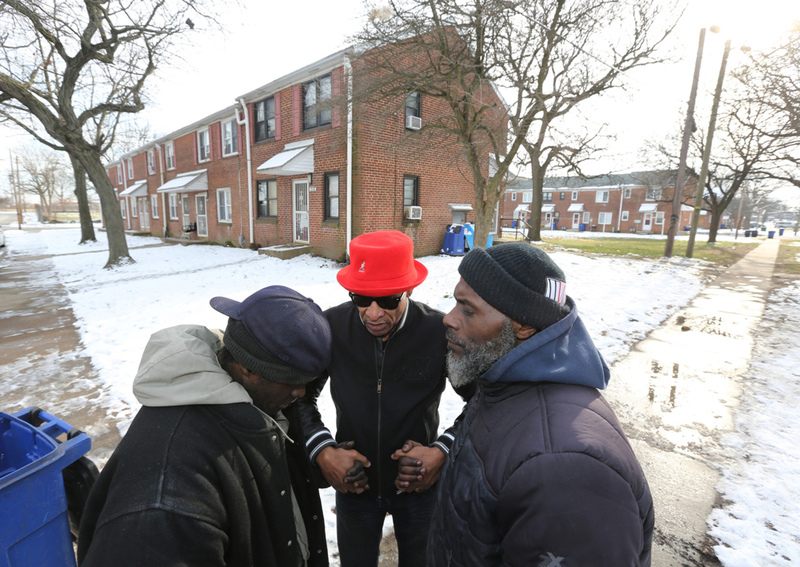 One, Jaquan Harris, was killed with a stolen gun Dec. 27. He was 19. Christopher Jones, 16, was killed in August 2014 in a shootout over a stolen gun in south Columbus. Almost four years later, his mother, Myisha Jones, talks about why she chose to forgive the suspects instead of push for a harsh jail sentence. June 10, 2016: Ja’Myah Allen, 15. Columbus police said Allen was armed with a gun when he tried to break into a mobile home at 6023 Crystal Dr. about 11:15 p.m. June 9. Authorities never divulged who shot Allen, and said it was self-defense. July 1, 2016: Lakeisha Moses, 16. Moses was visiting a Wilson Homes apartment where she regularly babysat the resident’s children. She was joined there by boyfriend Lernard Bonner, who had a .38-caliber revolver. He shot Moses in the face, but claimed he did not mean to. A jury found him guilty of felony murder, and he was sentenced to life with possible parole. Jan. 16, 2017: Destiny Nelson, 17. Police still are searching for suspects in the fatal shooting of Nelson, who they believe was erroneously targeted in a vengeance killing about 10:40 p.m. at her family’s apartment on Creek Way, where someone knocked on the door and then fired through it. Nelson died from multiple gunshot wounds. Police believe the shooting was in retaliation for the Jan. 5, 2017, killing of 22-year-old Dominique Devonte Horton near Cusseta Road and 32nd Avenue. Authorities are offering a $5,000 reward for information leading to a suspect. July 14, 2017: Richard Cummings Jr., 18. Cummings accidentally was shot at 909 Farr Rd. Authorities said the teen was in a car’s front passenger seat when another teen in the seat behind him fired a shot that went through the seat, hit him in the back and lodged in his chest. The teen who fired the shot was charged with involuntary manslaughter and reckless conduct, and another teen present also was charged with reckless conduct. Aug. 31, 2017: Tremaine Taylor, 18. Court testimony in a related murder trial indicated Taylor may have been targeted in a gang-related killing stemming from the earlier death of a small-time marijuana dealer. He was walking up a driveway on Henson Drive about 1:30 a.m. when a car pulled up and someone in it called his name. When Taylor turned back, a shot from the car hit him, and he died later at the hospital. Nov. 17, 2017: Javion Shorter, 17. After an argument with his girlfriend, Nashira Miller, at the Ballard Way Apartments, 5600 Hunter Rd., Shorter was shot in the arm and abdomen there in a stairwell about 2:30 a.m., and died two days later in the hospital. Police have charged Miller, her ex-boyfriend Daijon Williams and Javon McClendon with Shorter’s homicide. July 19, 2018: Emanul Banks, 18. Banks was shot multiple times in front of 1010 Winston Rd. and pronounced dead there about 2 a.m. A year earlier, police charged him with criminal gang activity in the thefts of five vehicles from Enterprise Rent-A-Car on South Lumpkin Road. Investigators have not said whether his death was gang related. He was to face those charges the next day in Muscogee Superior Court. Sept. 22, 2018: Destinee Virgin, 18. Witnesses said Virgin got out of her Nissan Maxima at the red light on Macon Road at Rigdon Road about 7 p.m. and ran through traffic, calling for help and trying to open other car doors to escape boyfriend Markel Ervin, who caught up with her and gunned her down in the street with a 9mm pistol. Caught later in Harris County, Ervin has been charged with murder. Nov. 27, 2018: Ja’Ceiden Banks, 3. Columbus police still wonder why Joseph Banks’ killer chose also to shoot the man’s 3-year-old son outside a vacant house at 6 Stuart Dr. Banks, 41, and son Ja’Ceiden were pronounced dead at 9:22 a.m. in the yard. The pair last were seen alive while getting into a white 2004 Ford F-150 pickup truck that drove away from a motel on Victory Drive at 1 a.m. Police are seeking a witness reported to have been with them.